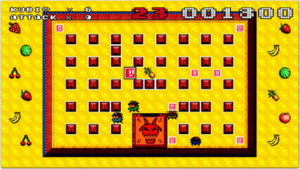 Marvelous Entertainment continues its World Game Parade this week on WiiWare, and Virtual Console buffs who're into the import scene may want to check out the MSX titles on offer that have come out of nowhere (we do like VC surprises, yes we do). DSiWare is a bit light this week with three titles, only one of which is actually a new game (but only in Japan because everyone else had it last September). Bit Man!! 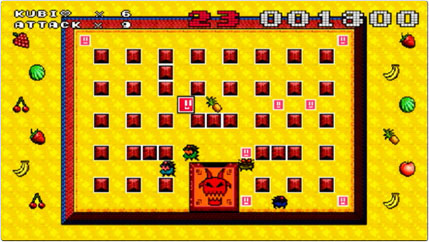 (500pts – Marvelous Entertainment) – The second entry in the World Game Parade is a game we've seen before, yet not because Bit Boy!! has been revamped into Bit Man!! for Marvelous' series of European imports on WiiWare. We're excited to get our hands on it to give you a preview; until then please re-read our recent interview with the CEO of Bplus in which we talk about its first foray into the Japanese market with this title. Gofer no Yabō: Episode II (800pts MSX – Konami) – No relation to the MSX game Gradius 2 or the port of the arcade game Gradius II which appared on the PC Engine CD by the name Gradius II: Gofer no Yabō. Confused yet? 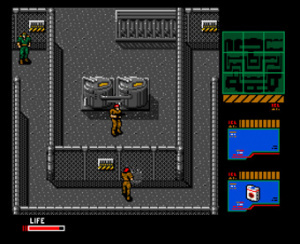 Metal Gear 2: Solid Snake (800pts MSX – Konami) – The sequel to Metal Gear on the MSX, this game introduced new enemy behaviours such as a wider field of vision and reaction to sounds made by the player character. It definitely seems to have inspired the 3D game Metal Gear Solid on the Sony Playstation. From the Abyss: Anonymous Notes 2 (200pts – Sonic Powered) – We were wondering how Sonic Powered could take an RPG that previously appeared as a full retail DS release and release it as a 200 Point DSiWare title and now we know: by splitting it into multiple parts. Presumably "From the Abyss: Anonymous Notes 3" isn't far off! Delbo (500pts – Beyond Interactive) – A puzzle game involving the firing of marbles at other marbles decending from the top of the screen. This started out life as a downloadable flash game, so it could be a title we'll see in other territories eventually. Light week in Japan. Im interested in Bit Man! for wiiware. Pretty slim week for DSiWare but at least VC delivers. I haven't played it, but after reading the Bit Boy!! review here and the interview about it Bit Man! !, I think Bit Boy!! would be a lot better with the improvements made in Bit Man!! Whoever has the game should pray for a North American and European patch with the Bit Man!! improvements, but it's very unlikely, as we've yet to see any WiiWare patches that actually include new features. Could we have a seperate Bit Man!! review due to the new features? In what way DID we see Bit Man!! before? Bit Man!! is a revamped Bit Boy!! with the main changes being in the 3D levels, which have been revamped and expanded and now have Super Mario Galaxy-style themed settings. @Bulbasaurus Rex: Bit Boy!! wouldn't be patched. According to BPlus Bit Man!! is different enough that they'd regard it as a sequel. Whether or not they try to release it elsewhere depends upon how people react so comments in the preview article I plan to do will go a long way towards that happening. I wish we had Metal Gear. Bit Boy!! was a disappointment, despite the fact that the game idea is nice. If Bplus removed all the features that made Bit Boy!! such a bad title, then Bit Man!! could be a playable one. @Vinsanity: Yes, Metal Gear 2 is officially translated... as a bonus on PS2 game MGS3: Subsistence. So no need for fan translations. The problem would of course be that bit about altering the code... We will probably not see it on VC.